The Sony World Photography Awards is the world’s biggest photography competition and its aim is simple: to recognise and reward the best contemporary photography in the world. Free to enter, photographers of all abilities are invited to submit either their best single shots or series of work. The annual awards gala and ceremony takes place in London, welcoming an international attendance of industry leaders to celebrate the recognition of the best in contemporary photography. Exhibition at Somerset House, London. Potential to be included in international exhibitions. Inclusion in the Sony World Photography Awards book. Potential to work with Sony on a variety of digital imaging projects. The World Photography Organisation has a thriving online presence and engages with photography enthusiast and professionals worldwide via its: Website, Blog, Twitter, Facebook. 14 categories, judged on a series of images, aimed at serious photographers. The Professional competition rewards excellence across a broad spectrum of photography styles and each year offers undeniable global exposure and recognition to not only its winners, but also its shortlisted photographers. All winning and shortlisted photographers will be included in a global press campaign and exhibited at Somerset House, London in April 2016. L’Iris d’Or / Professional Photographer of the Year – $25,000 (USD). Category winners – Flights & accommodation to awards in London. Sony products. Publication in winners’ book. Shortlist – Invitation to awards. Digital exhibition. Aimed at photography enthusiasts, the judges are looking to award the best single shots across 10 diverse categories, from Architecture to Travel. All winning and shortlisted photographers will be included in a global press campaign, featured across the WPO (World Photography Organization) website and exhibited at Somerset House, London in April 2016. Open Photographer of the Year – $5,000 (USD) plus flights and accommodation to awards in London. Category winners – Sony product. Publication in winners’ book. Exhibition. Shortlist – Digital exhibition. Publication in winners’ book. 3 categories, for photographers aged 12-19.The Youth Award recognises the next generation of talented young photographers. All winning and shortlisted photographers will be included in a global press campaign, featured across the WPO website and exhibited at Somerset House, London in April 2016. Youth Photographer of the Year – Flights and accommodation to awards in London. The World Photography Organisation and British Journal of Photography are pleased to invite registered universities from across the world to submit entries to the 2016 Student Focus competition, one of the world’s leading programmes for photography students. Student Focus photographer of the year will receive an online feature showcasing a body of work on the BJP website and will have the opportunity to take over the magazine’s Instagram feed for one weekend. 5. National Awards-This is only available for specific countries (see list). For this award, judges are looking for the single best shot taken by a local photographer. (ii) Flights and accommodation to awards in London. (iii)Advance and Premium WPO membership. Please note, once you enter this competition you will not be able to enter the Youth or Professional Competitions. Anyone can enter these competitions. If you wish to enter the Professional competition, you will not be able to enter the Open competition. If you wish to enter the Open competition, you will not be able to enter the Professional competition. If you wish to enter the Youth Award, you will not be able to enter either the Professional or Open competitions. Images should be no smaller than 800KB and no larger than 5MB. Images should be either JPEG or TIFF files. All images must be saved in the RGB colour model. 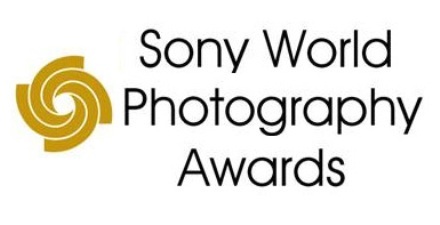 Note: You must be able to prove that this is the first time the work has been published and you must also be able to prove that you have not entered the work previously into the Sony World Photography Awards. All images can be submitted online at World Photo Organization. See winners and shortlisted candidates from last year’s competition here.